Have you ever been traveling and not had the right charger with you? 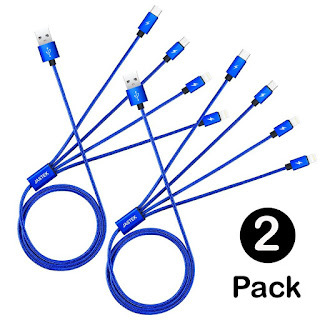 I just recently bought a 2 Pack 4 in 1 Multi USB Charger Cable by JASTEK to solve that issue. These come in so handy!! The cable is 3.3 ft long (1 meter) and have a Nylon braided protective cover and Aluminum alloy connectors. 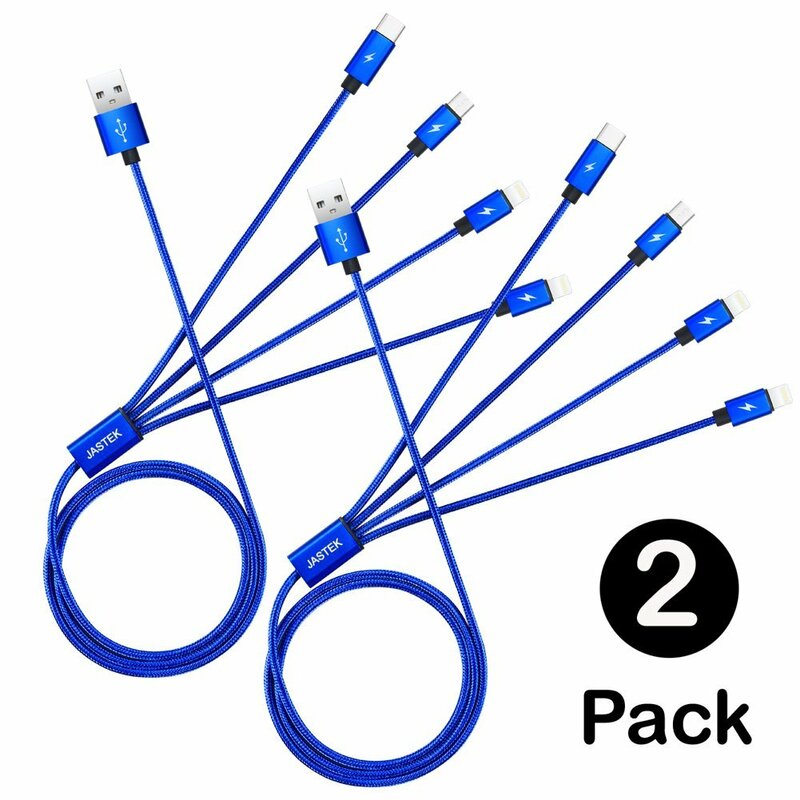 The 4 in 1 includes 1 USB C cable, 1 Micro USB cable, and 2 x 8 pin cable. This is so convenient for keeping in your car or office or even traveling. No need to carry several chargers with you when this 4 in 1 takes care of your charging needs. I highly recommend this charger for it's convenience and the quality. There is a full year Replacement Warranty.